A. 主日Sunday 09:50 a.m. ~ 11:30 p.m.
B. 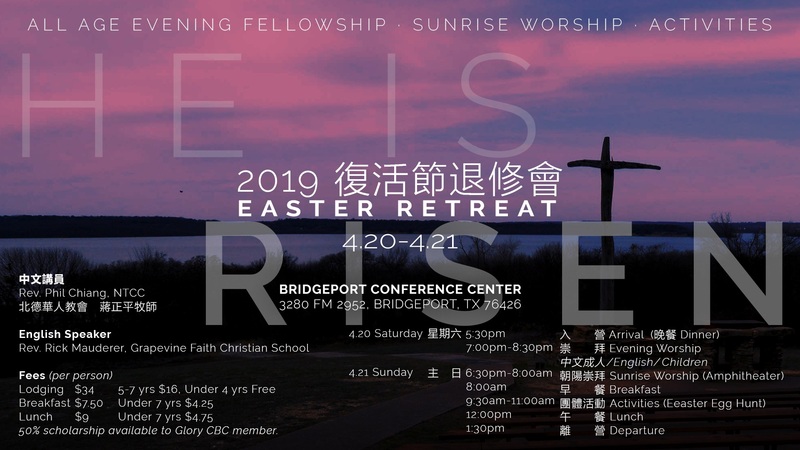 主日Sunday 10:30 a.m. ~ 12:00 p.m.
C.　主日Sunday 10:30 a.m. ~ 12:10 p.m.
D.　主日Sunday 11:30 a.m. ~ 12:20 p.m.
1. Starting in month of May, children (Toddlers to 5th graders) will be dismissed from the fellowship hall at 12:30pm. 3. Children are not allowed to leave the fellowship hall except bathroom while they are waiting for the responsible party to sign them out. Responsible party is the one who bring the children to Sunday School or their names are registered in our registration form. If you do not fill one out, please find Alan or one of the teacher to fill out the form and return the registration form to Alan. 4. After 12:30 pm / once responsible party sign the children out, children are under responsible party’s supervision. 5. Please do not allow your children to run in the hallway or play roughly like slamming door , pushing around, hitting…etc. 6. Do not let children go to playground without adult’s supervision. a. Toddlers to Kindergarteners will be combined and meet at room 101.
b. 1-5 graders will be combined and meet at room 201.
c. August 4th to 8th, we will have Vacation Bible School (VBS). It starts from 2-5 p.m. 5-6 pm is pick up time for children (Preschoolers to 5th graders), Toddlers must be toilet trained or their responsible party is volunteer and he/she will stay in church during VBS. More details will be followed. Finally, we are in the process to select a comprehensive Children Sunday School curriculum so that toddler to 5 th graders will use the same Sunday School publisher. We want to improve carryover and enrich our parents’s skills and resources to teach their children the word of God beyond Sunday School time. It will be Bible based, Jesus centered and children have to use Bible in Sunday School. Therefore, make sure your children will bring their Bible to the class. Once a curriculum is selected, I will let everyone know what Bible version we will be using. P.S. I do not have everyone emails if someone is not on the list or you want me to delete your email from the list above, please let me know. We invite you and your family to join us each week to experience Jesus’ love and learn Biblical truths in a peaceful and joyful environment. Childcare in nursery is provided for age 1-12mo during our worship service on Sunday. In order to help us better organize our work, please follow the rules below. Thank you for your help and support. 1. There will be one leader and one co-worker responsible to take care of the infants. Parents will take turns to serve as a co-worker. Except the co-worker, parents please attend the worship service after you sign in your child. We will call you in case your child needs your help. 2. For security purpose, every time you sign in your child, we will give both you and your child a card and a sticker with your child’s name on them. When you pick up your child, please be sure to bring back your card and return to the leader/co-worker. 3. Please bring your diaper bag (labeled with your child’s name), diapers, feeding bottle with formula or juice, and an extra changing clothing. 4. Breast feed moms are welcome anytime. 5. If your child is sick or is not feeling well, please stay home for recovering to show your care and respect to the others. Parents, God has gifted each of us with unique talents and abilities to serve those around us. Serving others helps us grow in our spirituality. We encourage you to make a difference in your family and in your life by getting involved at Glory CBC. Our children’s ministry is short of co-workers. We need your help! 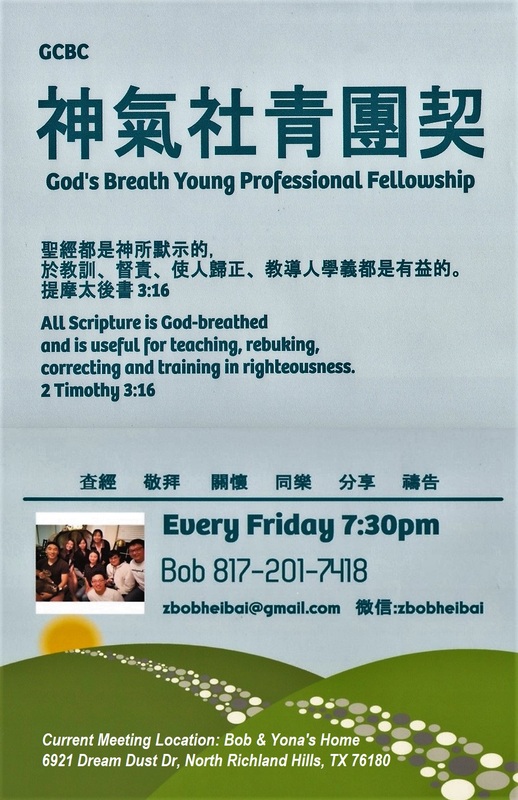 To volunteer with children’s ministry, please contact Pastor Liu or Deacon Yam. Thank you.